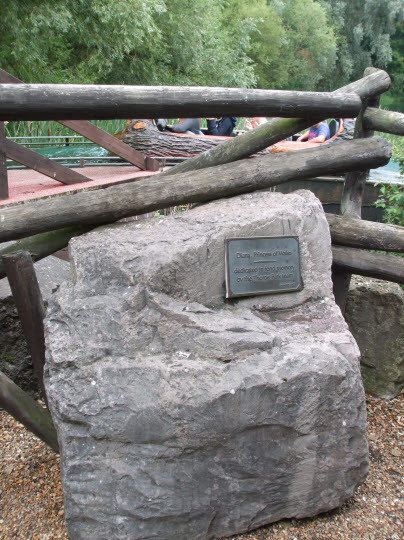 In the early 1990’s Thorpe Park received the Royal seal of approval when Princess Diana and the young Princes, William and Harry, visited the park three years in a row. They visited during the Easter holidays in 1991, 1992 and 1993. On their visits to the park Diana insisted that they would queue for all their rides and should be treated like everybody else. Over the three trips to Thorpe Park they rode most of the rides together, apparently the one ride Diana refused to try was The Flying Fish. The Royal visits drew lots of press attention, with a number of photographs featuring in the British and foreign press for days after the visits. One of these photos, showing the Princess and Princes on Logger’s Leap, became one of the most famous images of Diana relaxing with her sons. On their third visit in 1993 a film crew were invited to follow the Royals around the park, filming them enjoying the rides. They were joined around the park and on the rides by Colin Dawson, who was Thorpe Park’s General Manager at the time. 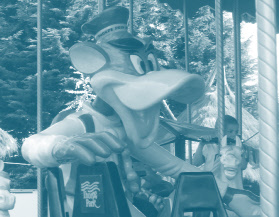 Rides they were filmed on included: Loggers Leap, the Teacup Ride, Thunder River, Depth Charge and the Hudson River Rafters. This footage is now available to buy on DVD directly from the production company Airtime Television on this website: http://dianaatthepark.com/ . The DVD called “Diana at the Park” has an approximate running time of 30 minutes and currently costs £20 (including VAT) plus £10 postage. Links to clips from the DVD can be found in the Related Links section. Photos of this memorial can be seen in the photo section below. 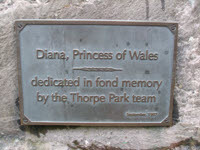 In 2007 Colin Dawson, the former General Manager of Thorpe Park, was asked to be in a short film about Diana’s visits to the park that was to be shown during the memorial concert at Wembley Stadium. During which he explains what they were all laughing at after they had just ridden Loggers Leap. This short film is available to buy on the DVD/Bluray of the full concert that was released in 2007/2008. 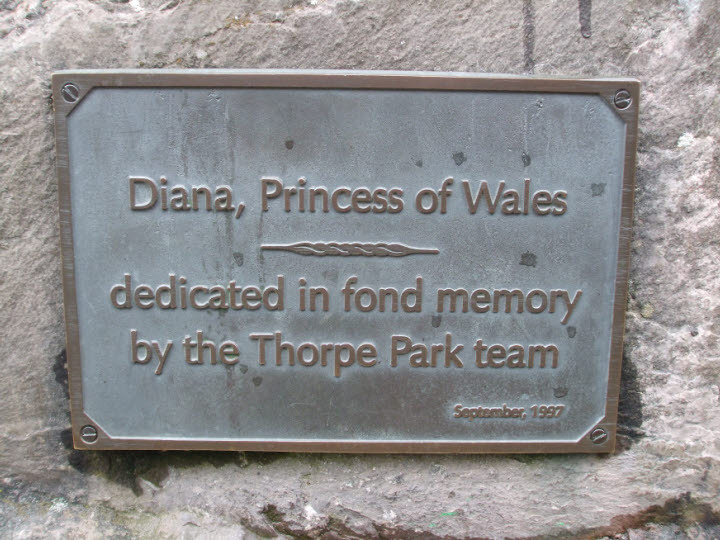 – 2 pages of video clips from the DVD of Diana’s 1993 visit to the park. The Diana memorial, taken in 2009. Uploaded to YouTube by AirtimeFootage. Description: The opening sequence of the ‘Diana at the Park’ DVD, with quick clips of the Royals on the rides. Footage of the old bright yellow Sky Ride boat @0m25s.